Opening a food service business requires a lot of work and preparation. As a part of your preparation, you will need to familiarize yourself with the local laws that govern your food-related business and follow them carefully. If you fail to do so, your business could fail inspection and possibly face being shut down. Since you want to avoid these types of problems, you will need to make sure that you understand the laws and ensure that your establishment follows them as directed. The following are some of the major laws that govern new food-related business ventures. If you are opting to build your business from the ground up, rather than purchase an existing establishment, you will have to familiarize yourself with the zoning laws. Each city and town has specific zones set up for commercial and residential areas. Since your food establishment is a commercial enterprise. find out where you can build before you invest in any land or purchase an existing building, The same holds true for any renovations you may want to perform. Ensure that the area you are interested in is zoned for your business and that you can make the desired renovations. The most important laws that you will need to understand for your food service business are those that fall under the jurisdiction of the FDA Food Code. Established by the FDA as a guideline for local and state governments, the Food Code is a way of regulating the food service industry and protect the health and safety of consumers, residents and employees. It provides a model for safeguarding public health and ensuring that food is unadulterated and reliable when offered to consumers. Though it is used as a guideline, the Food Code is not a requirement of state and local governments. The Department of Health in each area is in charge of establishing and enforcing the local Food and Health Codes specific to their areas. It is important that you contact the Department of Health in your area in the early planning stages of your food service operation, to ensure that you are doing everything required according to your local laws. What is Covered by the Food Code? The health, cleanliness and hygiene of the personnel that work in your business. All aspects of the equipment and utensils that are used in your establishment, including the materials they are made of, the installation, and the storage of your equipment. Every facet of the utilities and services at your site, including the restrooms, how you dispose of waste, and how you handle pest control. How the building is constructed and whether it holds the proper features such as ventilation, lighting, and space. How inspections are carried out, passed and any other enforcement that may be required. 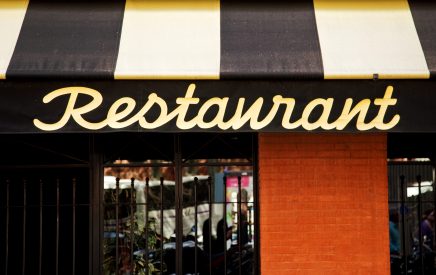 The best way to ensure the success of your food service business is to contact the proper agencies and know your local laws before you begin planning your business. In this way you will be able to make sure that everything, from your building to your equipment to your food, meets all the laws and regulations, enabling you to pass inspection and have a successful opening day.